Each evening at sunset you will be treated to canapes and cocktails for two. 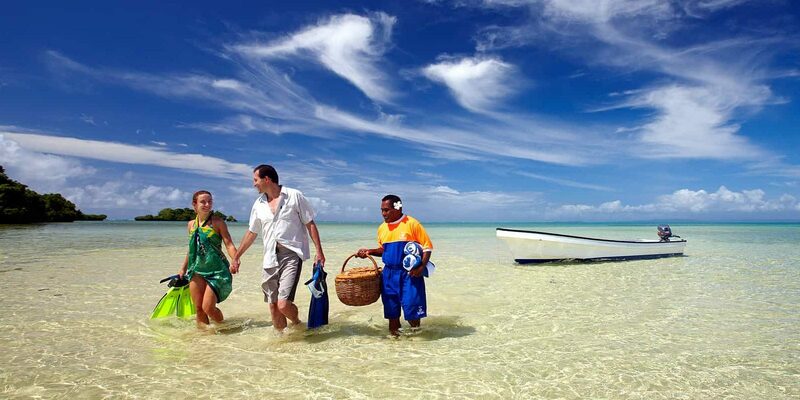 This package also includes a private island escape with either a picnic breakfast or lunch. Additionally, you will receive a resort credit in the amount of FJD$500 per Bure, for use on beverages, spa treatments or non-complimentary off site excursions excluding SCUBA diving. Package includes: Meet and greet by our host at the domestic terminal at Nadi International Airport and at Savusavu airport, your accommodation, all a-la-carte meals, specialty coffees, WiFi, most resort activities, up to five off-site scheduled excursions each week, scheduled boat snorkeling trips including equipment, and round-trip transfers between Savusavu airport and the resort. Cannot be combined with other packages. Couples only. Certain other restrictions apply.